Masumi Narita, Yuichiro Kobayashi & Mariko Abe (2018). Recurrent multiword combinations in L1 and L2 argumentative essays. 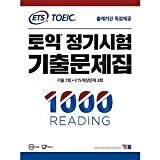 Asian EFL Journal, 20(1), 250-275. 中條清美・濱田彰・小林雄一郎・Michelle Johnson (2018). 「英語初級者向け教育用例文コーパスSCoREの英文難易度評価」 『日本大学生産工学部研究報告B』51, 27-36. 中條清美・濱田彰・若松弘子・小林雄一郎・横田賢司・内山将夫・赤瀬川史朗・Michelle Johnson・西垣知佳子 (2018). 「教育用例文コーパスSCoRE第4次開発」 『日本大学生産工学部研究報告B』51, 1-12. 小林雄一郎 (2018). 「ライティングの自動採点で語順はどのように扱われるか」 『英語教育』 67(2), 32. Yuichiro Kobayashi (15th February, 2019). Second language discourse in Asian Englishes: A corpus-based approach. CamTESOL 2019 (at Institute of Technology, Cambodia).